UMP | University of Minnesota Press Blog: Planning a summer or Memorial Day weekend trip? These beautiful, significant national destinations are primed to spark the intellectually curious adventurer in you. Planning a summer or Memorial Day weekend trip? These beautiful, significant national destinations are primed to spark the intellectually curious adventurer in you. 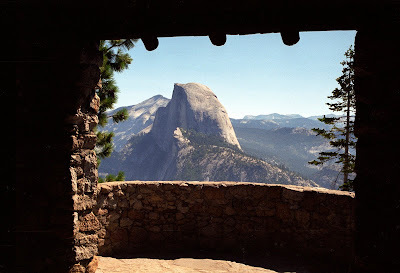 Half Dome Overlook, Yosemite National Park, California. 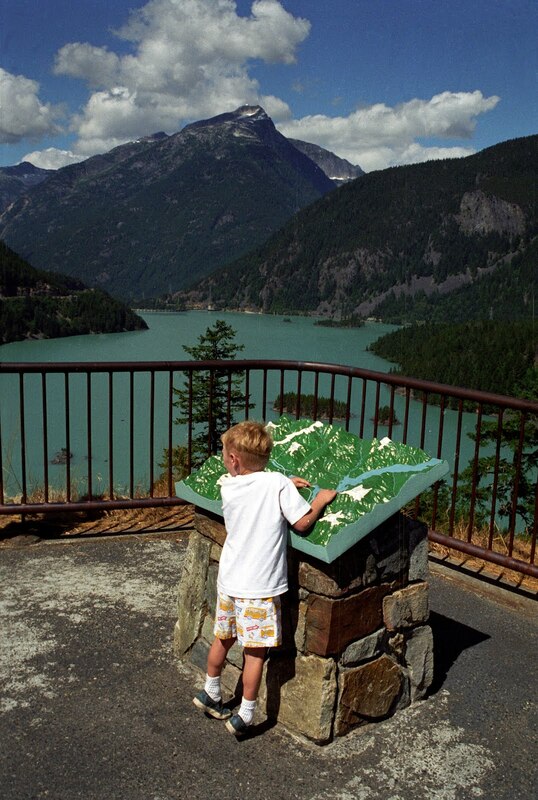 Diablo Lake Overlook, North Cascades National Park, Washington. Wawona Tunnel Yosemite Valley Overlook, Yosemite National Park, California. 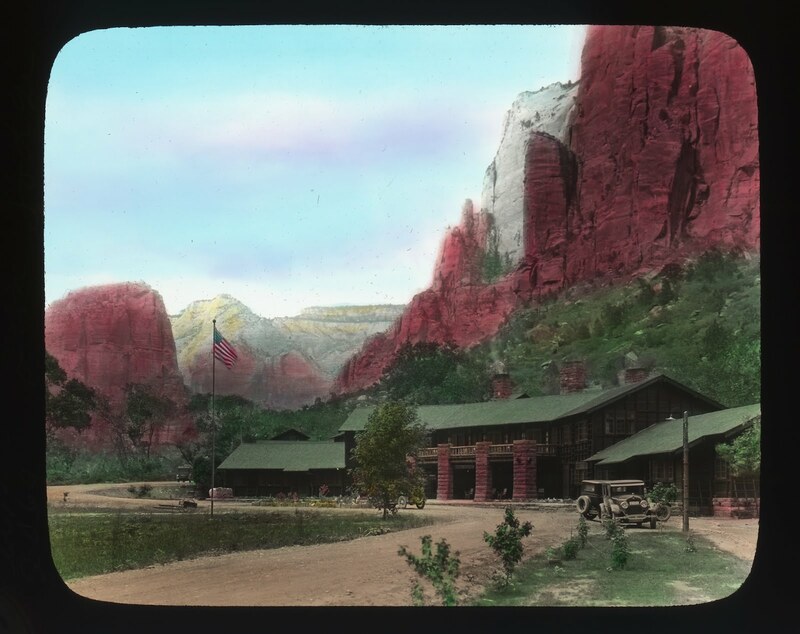 Zion Lodge, Utah, 1930s. Colored Lantern Slide. National Park Service Historic Photograph Collection. Watchtower at Desert View, Grand Canyon National Park, Arizona. Ruins of Pueblo Bonito, Chaco National Historic Park, New Mexico. Reproduction of Thomas Moran's 'Grand Canyon of the Yellowstone,' 1872, at Artist Point, Yellowstone National Park, Wyoming. The recently built Old Faithful Visitor Education Center, Yellowstone National Park, Wyoming. If you’re planning a trip to national parks and monuments this summer, Observation Points (more info below) might offer you some ideas on what to see and why. The book covers various techniques through which the National Park Service presents, displays, or exhibits the “natural resources” that are contained within parks and monuments. Visitor centers and overlooks use displays, interactive didactic materials, and photographs to present information to visitors. Along with scenic overlooks and viewing towers, visitor centers are technologies of display, using landscapes as naturalizing media that shape the relationship of visitors to park environments. Some of the more compelling visitor centers are Point Supreme at Cedar Breaks National Monument; Mount Rushmore National Memorial; and the new center at Old Faithful in Yellowstone National Park. A state-of-the-art visitor and research center is also being built at Mesa Verde National Park in Colorado, slated for completion in October. In many visitor centers you will have an opportunity to view orientation films, such as those at Mount Rushmore National Memorial. Through specific rhetorical characteristics of films shown over the years at the memorial, the films have worked to shape a national identity, to naturalize expansion into the western United States, and to illustrate how exploiting the natural environment defines U.S. citizenship. When you leave visitor centers and drive through parks, try to remember that cars in national parks were almost an afterthought, allowed into parks after most of the more prominent ones were established. One result of automobile access to the parks was an increase in visitation. But another result has been the attempts to help visitors in cars find their way through the parks. This was the main objective of the new modernist designs that the National Park Service’s Mission 66 program starting in 1956. The increasing numbers of cars through the parks also resulted in new “intermediary landscapes,” such as roads designed to frame views to be seen from moving automobiles. Of course, one of the joys of visiting national parks is the view from turnouts, overlooks, and other spots. These viewing opportunities frame or prescribe views in parks using techniques borrowed from museums of various kinds. Specific instances of the rhetorics of display in national park presentations operate upon the visual experience of park visitors in such a way as to shape and enhance the significance of their encounters with parks. Presentations of cultural material in parks can be made to appear as if they are not presentations at all but “natural artifacts.” This is an especially important technique of presentation of “cultural resources” at Chaco Culture National Historical Park in New Mexico as well as at Mesa Verde National Park in Colorado. Our national parks are dotted with turnouts, overlooks and viewing structures that you shouldn’t miss on your trip. Some of the more thought-provoking destinations can be found at Diablo Canyon Overlook in North Cascades National Park; Wawona Tunnel Yosemite Valley Overlook in Yosemite National Park; Half Dome overlook, also in Yosemite; Desert Watchtower in Grand Canyon National Park; Clingmans Dome viewing tower in Smoky Mountains National Park; and just about any overlook or turnout in Yosemite, Yellowstone, Grand Canyon, Glacier, Zion, and Rocky Mountain National Parks. As you stand on the edge of some precipice and gaze out into the distance, think about how the view is presented to be seen by park visitors. Have trees been removed to frame the view? How have you been positioned by the design of the overlook to view selected slices of the park? What kind of information is presented there on didactic panels? Images of the landscape found in western parks and monuments in art are not simply unfiltered representations of views of natural features; they follow a preexisting visual grammar that is operative in places like national parks. Conventions found in German Romantic landscape painting, as well as in the Hudson River School and later paintings of the American West, find themselves repeated in the visual rhetoric installed at vistas visited and viewed by millions of visitors each year in our national parks. If this idea interests you, then do not miss a visit to Artist Point at the Grand Canyon of the Yellowstone. This spot features a reproduction of a painting by Thomas Moran of the scene that is presented before you! Sometimes visitors to park are simply seeking peace and quiet. Since the late nineteenth century, wilderness and national parks were seen as refuges. Zion National Park is a prominent example. To a great extent Zion was designed to be a place of refuge and the architecture in the park is an important part of that sanctuary. Architecture in Zion has a rhetorical function that suggests an idealized experience of the harmony of nature. Before you leave home, you could prepare yourself for your trip by watching Ken Burns’s documentary The National Parks: America’s Best Idea. This documentary works as a form of visual commemoration and functions rhetorically as an exemplar of national environmental public memory. In a similar way to the orientation films offered to the public at many national park visitor centers, Burns’s documentary draws heavily from a recognizable narrative and visual rhetoric that produces a “conservation civics” and situates audiences as environmental citizens. Observation Points is not exactly a travel guide, but if you're an intellectually curious traveler, or someone who appreciates landscapes for their aesthetic value, or even if you’re someone trying to teach your kids about American history, this book might be useful to you on your summer vacation. Thomas Patin is professor of art history and director of the School of Art at Northern Arizona University. 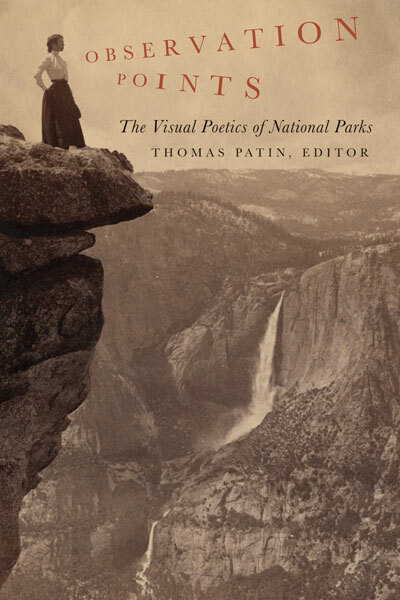 He is editor of the collection Observation Points: The Visual Poetics of National Parks. Contributors to Observation Points are: Robert M. Bednar, Southwestern U, Georgetown, Texas; Teresa Bergman, U of the Pacific; Albert Boime, UCLA; William Chaloupka, Colorado State U; Gregory Clark, Brigham Young U; Stephen Germic, Rocky Mountain College; Gareth John, St. Cloud State U, Minnesota; Mark Neumann, Northern Arizona U; Peter Peters, Maastricht U; Cindy Spurlock, Appalachian State U; David A. Tschida, U of Wisconsin, Eau Claire; Sabine Wilke, U of Washington. Nice place to have for a vacation, thanks for sharing this to us and looking forward always for more updates.